Sometimes the cure can be worse than that disease! I had had somewhat high homocysteine and decided to bring it down with folate and B12. I knew that a natural type of these B vitamins are the methylated forms - methylfolate and methylcobalamin. In fact, men with the more severe MTHFR polymorphisms have to take these forms. Yesterday (4/22/2016) I took methylfolate (200% RDA) and methylcobalamin (1667% RDA). At about 3 pm I found myself completely incapacitated. I developed a bad fever and ached all over: every joint and muscle hurt! All I could do was sleep. In fact, I slept 14 hours staight - no eating no nothing. Of course, yesterday I thought I was getting sick. I felt like maybe I had food poisoning based on how I felt and how sudden the symptoms hit me. However, what struck me as odd is that I never get sick - maybe once every three years - and in this case I had no nausea or stomach cramping. Furthermore, I did not have a cough or congestion of any sort. To me it seemed obvious that I was sick but not from a bacteria or virus. I was trying to figure out what was going on, and then it dawned on me that I had taken folate and B12 for the first time that morning. 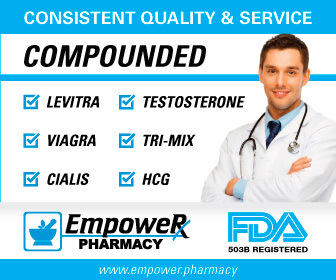 So I looked it up online and, sure enough, the web is rife with stories of men and women experiencing the exact same side effects - fever and a very achy body. Exactly why this happens no one knows for sure. However, I think the most likely explanation is that methylfolate is an extremely powerful form of folate and studies have shown that this can increase endothelial (arterial) nitric oxide and the nitric oxide of your immune cells (inducible). If you take too much methylfolate, the theory is that goes past the normal, physiological point and overstimulates nitric oxide. Nitric oxide is a free radical and is used as a weapon by your body in its inflammatory response. However, in my case I believe the folate and possibly cobalamin leapfrogged me straight to b. And this is exactly how I felt: my body went into "hyper-inflammation" mode - according to my family members I had a very bad fever - even thogh there was no real bacteria or virus to fight. By the way, it is now the next day - about 24 hours after the initial onset of the fever - and I still have no cough, vomiting, nausea, sinus headache, drainage, etc. To me this just does not seem like any kind of a cold, flu or food-related illness. While I don't know for sure it was these supplements, it seems very likely to me. SOLUTION: So does this mean I will never take methylfolate or methylcobalamin again? No, I will probably try it again but with a much lower dose. In my case I do get a fair amount of B vitamins from a nutritional yeast that I consume. But I want to try just a little extra to see if it will bring that homocyeine down. If I do, I will update this page. CAUTION: I knew that one did NOT want to take folic acid except in rare circumstances: it is synthetic folate that is poorly metabolized by the liver and persists in the bloodstream for too long. Folate plays a role in cell division and some research suggests that folic acid leads to increased cancer rates.